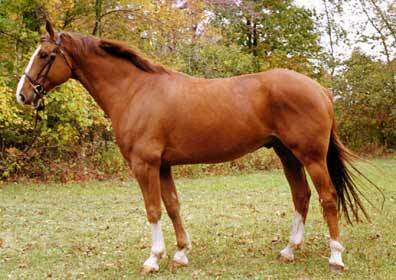 King Cruising is full brother to "Cruiseline", 1989 mare, by Cruising(ISH), out of Logananny Lesgend (ISH), by Diamond Lad (RID). "Cruiseline" has been winning Grand Prix Showjumping events since 1998. King Cruising is currently competing in dressage and showjumping. Cruising, an international showjumper and Grand Prix winner all over the world. As of September, 1997, he is placed as the 10th leading showjumper in the world and is the second leading stallion. 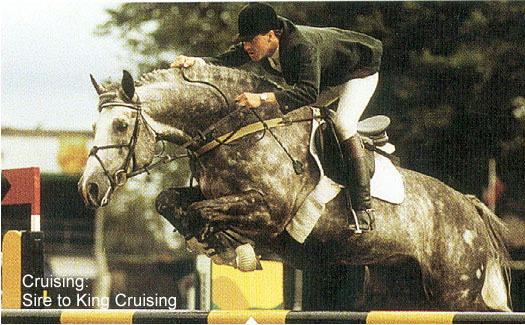 As of December, 1997, Cruising is ranked as the 5th leading sire of showjumpers in the world. Sea Crest is sire of Cruising. Sea Crest has bred the winners of 53 classes at the Royal Dublin Society Shows. King of Diamonds, RID, by Errigal out of Ruby by True Boy. 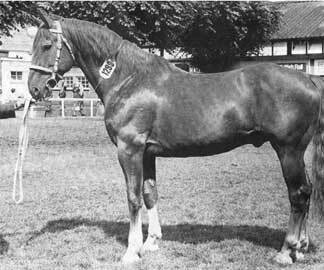 The single best-known Irish Draught of modern times is King of Diamonds, who has been described as the saviour of the Irish Draught as a breed, as a result of his jumping ability. 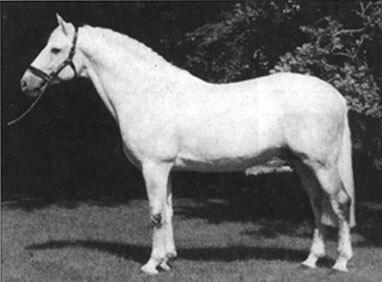 King of Diamonds is ranked seventh as sire of showjumpers in world rankings, 1990-1995. He is sire to Diamond Lad.